At Boerne Air Conditioning Repair Experts, we understand that your air conditioner has one primary job: to keep you comfortable. If your AC unit is not properly meeting this need, something is wrong. Many times when our repair technicians are servicing a malfunctioning AC, they discover that the air conditioning refrigerant simply needs a recharge. 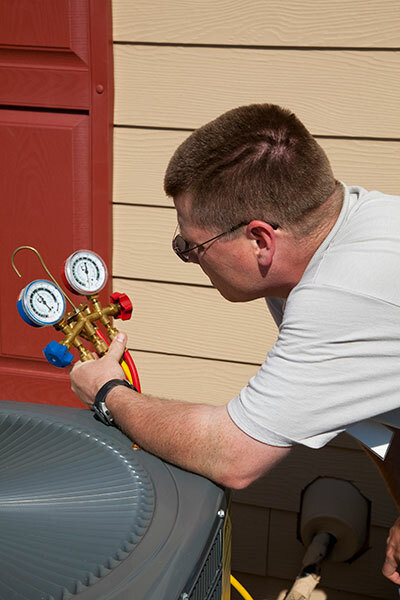 Before recharging your refrigerant, we always perform routine maintenance. We clean the air filter, blower wheel, evaporator coil, and condenser coil. If refrigerant is added when any of these parts are dirty or broken, then the unit may face additional damage. Once we complete a thorough inspection, we can begin the process of recharging, or refilling your refrigerant. Your air conditioning unit uses the refrigerant to pull the heat out of the air, so if your refrigerant is low or empty then that cannot happen. When it comes to refilling your refrigerant to recharge your system, there are many different types of refrigerant you can use. These refrigerants are typically classified by chemical makeup and their ozone depleting potential. In older air conditioning units, you’ll probably find that they contain R-22 refrigerant, which is classified as a CFC. New units will probably contain R-410a, which is classified as an HFC and is not considered to be an ozone depleting chemical. While additional refrigerants are available, R-22 and R-410a are the most common. It’s always recommended that you have a professional perform the recharge maintenance, particularly when replace R-22 in existing units. Our team at Boerne Air Conditioner Experts is happy to perform a routine inspection to determine the condition of your unit, and whether it is in need of a recharge and refill of its refrigerant. There are also some common signs that we suggest that our customers keep an eye out for that will signal that your unit needs a recharge. First, if your vents are blowing room temperature air, this is a telltale sign a recharge is needed. Additionally, another common sign is the buildup of front or ice on your air conditioner. Since refrigerant is a gas that will freeze almost anything is touches, the pipes in your air conditioner are built to withstand this gas and transport it around the system. If there is a leak, then you will notice because everything will be covered in frost, or just plain frozen. Lastly, regular maintenance can also help to signal is your unit needs a recharge. 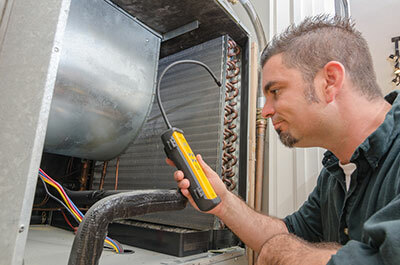 One of our technicians can easily detect a leak during a maintenance inspection, and then immediately work to repair and recharge your air conditioner. Leaks of your refrigerant are most often caused by damage to your air conditioning area. In other cases, the unit may have been poorly manufactured, in which case a replacement might be the best option. If your air conditioning unit is brand new or just a few years old, our team suggests calling the manufacturer and requesting a replacement for the faulty product. Regardless of the age or condition of your model, if you have any additional questions about air conditioning refrigerant or recharging, feel free to contact us at Boerne Air Conditioning Experts.